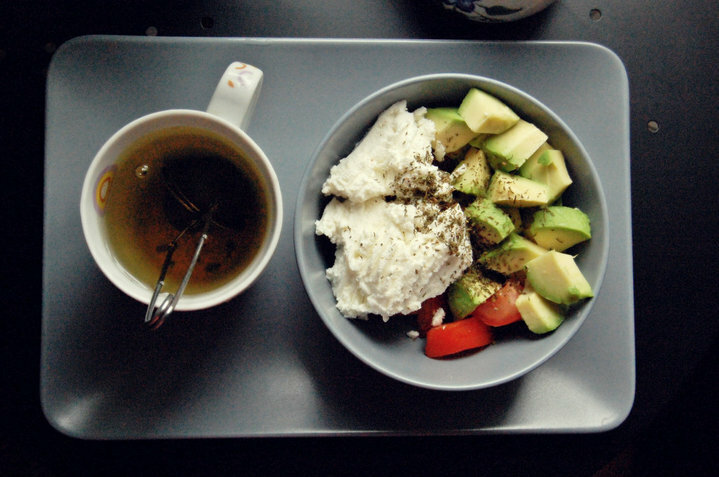 Avocado salad with tomatoes, low-fat cream cheese, thyme and green tea. well, as Im hoping to get this published one day, I'll only post breakfast and try to keep it updated. 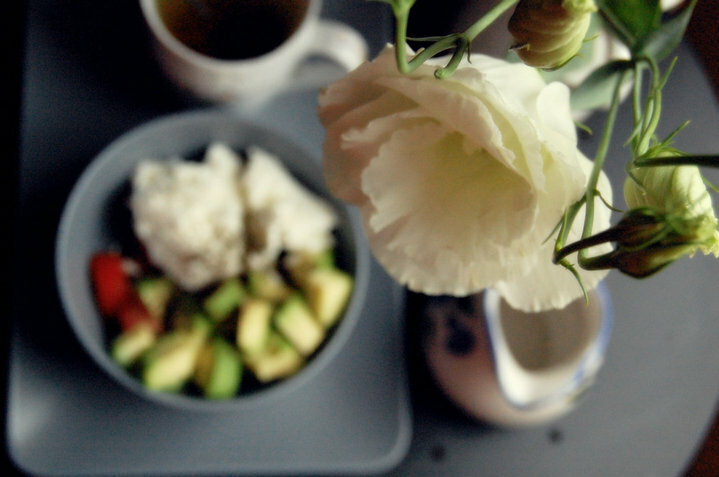 and only bucharest breakfast since I;m here most of the time.